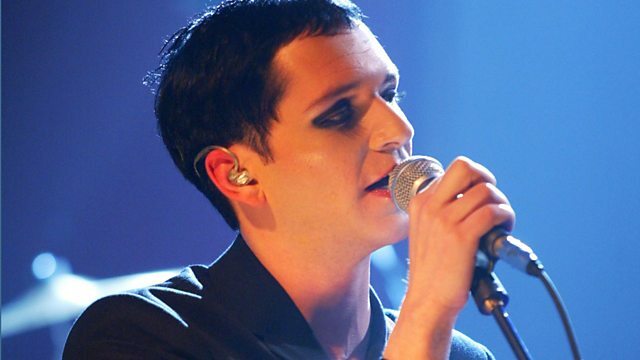 Placebo frontman and songwriter Brian Molko presents an hour of his favourite music, featuring Radiohead, TV On The Radio, Sigur Ros and Sonic Youth. Lead singer, guitarist and songwriter of Placebo Brian Molko presents an hour of his favourite music, which includes Radiohead, TV On The Radio, Sigur Ros and Sonic Youth. His band Placebo formed in 1994 and exploded into the mainstream during the Britpop era with the self-titled debut album which reached number 5, still their highest charting album to date. They have developed a cult following across Europe, much of that based around Brian himself. They recently released their 7th album Loud Like Love. He is known for his androgynous image and his nasal, high pitched vocals, and is the subject of much adoration from fans. The band explore Lesbian-Gay-Bisexual-Transsexual cultural themes in their music. Here Brian shares his admiration for some of his influences and peers, in particular Radiohead and his favourite band, Sonic Youth.